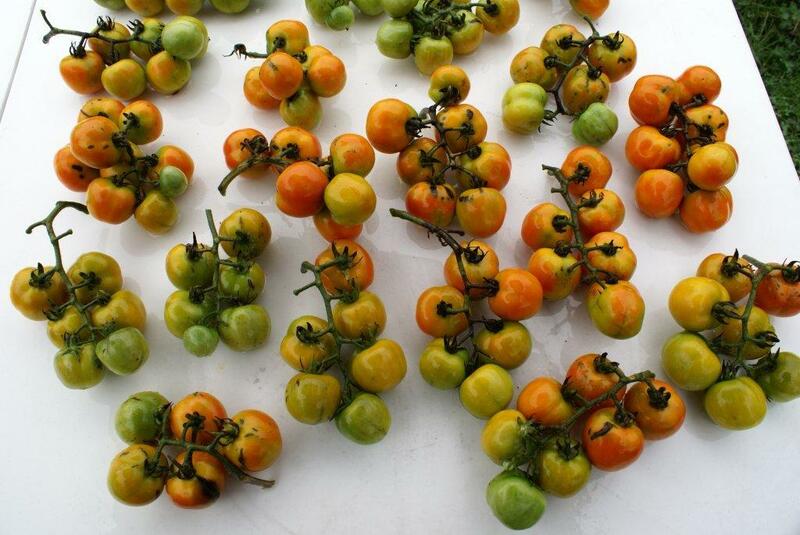 These were taken following two frosts the nights before so some of the ripe fruit had already been picked. These were also taken very late in the season so the plants weren’t looking as good either. I found that the Aprile stayed on the vine very strongly, and formed nice clusters. The other varieties fell off the vine more easily. 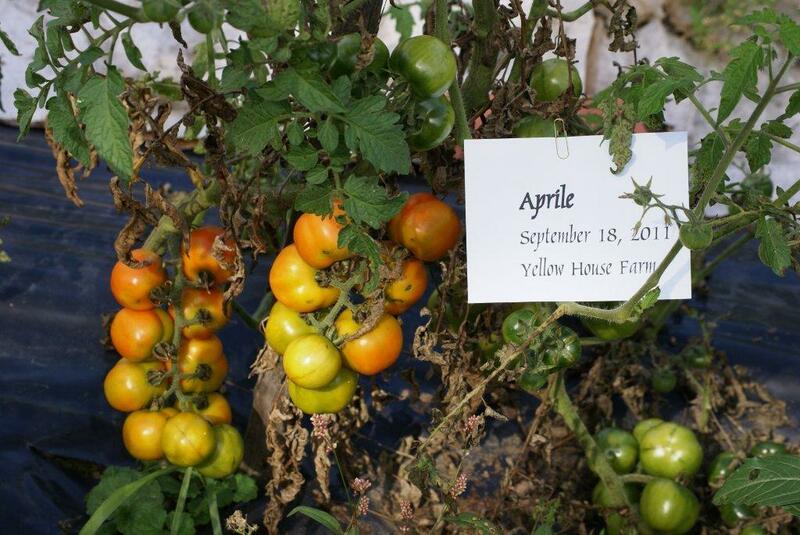 Aprile at Yellow House Farm, September 18, 2011. The image of these [Aprile] clusters on the table was taken later than the images on the vine. Ponderosa at Yellow House Farm, September 18, 2011. 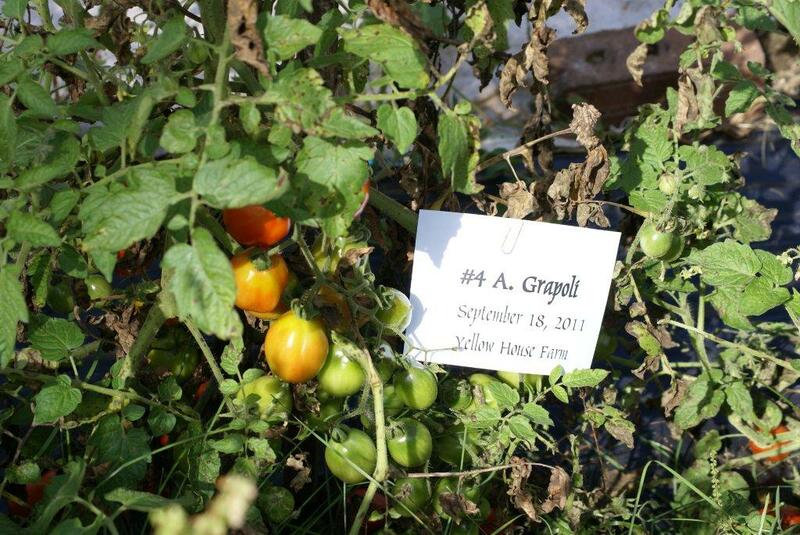 Grappoli d’Inverno at Yellow House Farm, September 18, 2011.